1. A rod of diameter 30 mm and length 400 mm was found to elongate 0.35 mm when it was subjected to a load of 65 kN. 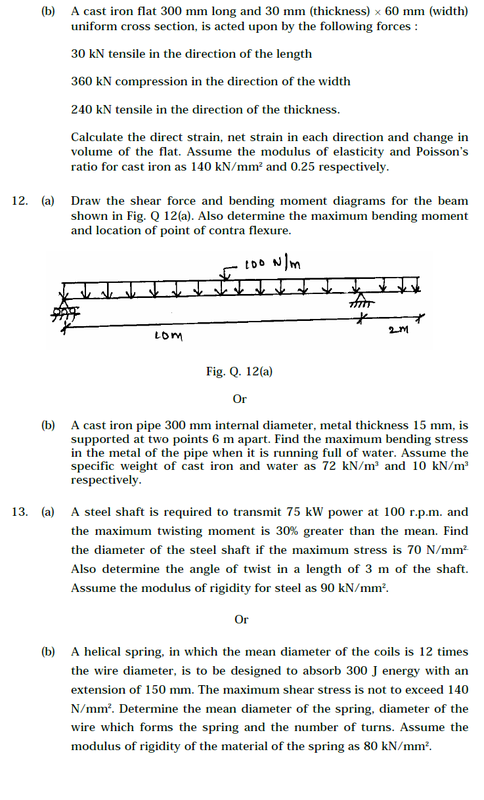 Compute the modulus of elasticity of the material of this rod. 2. 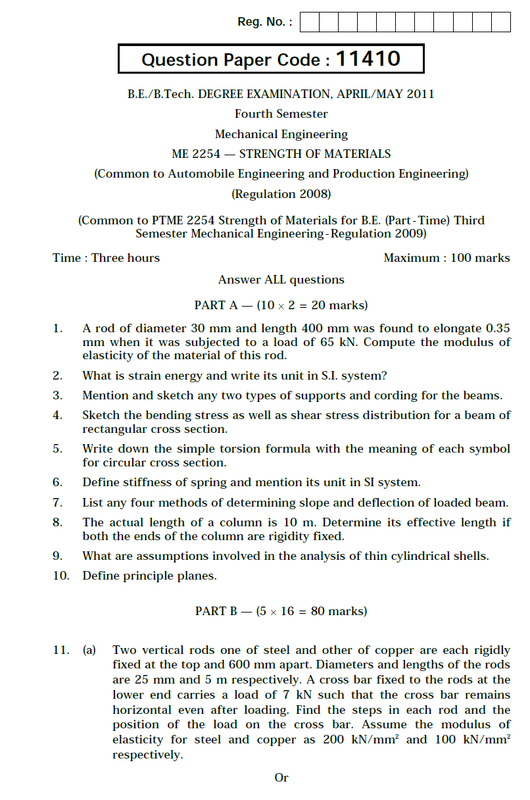 What is strain energy and write its unit in S.I. system? 3. Mention and sketch any two types of supports and cording for the beams. 4. 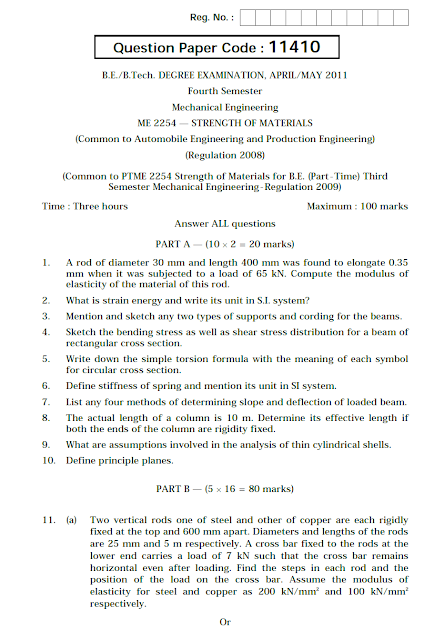 Sketch the bending stress as well as shear stress distribution for a beam of rectangular cross section. 5. Write down the simple torsion formula with the meaning of each symbol for circular cross section. 6. 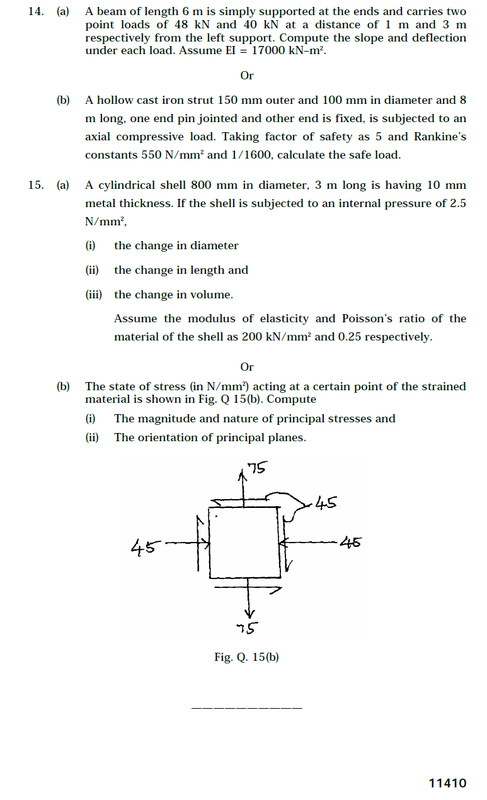 Define stiffness of spring and mention its unit in SI system. 7. 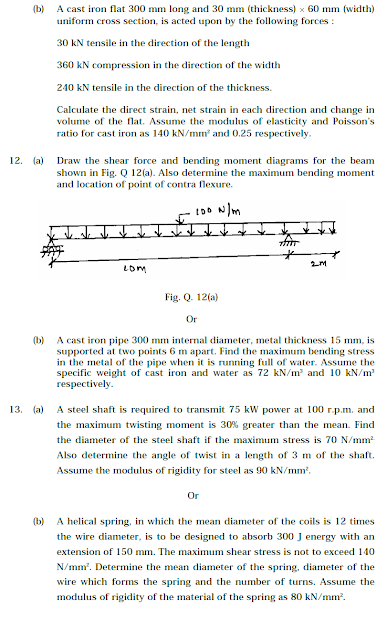 List any four methods of determining slope and deflection of loaded beam. 8. The actual length of a column is 10 m. Determine its effective length if both the ends of the column are rigidity fixed. 9. 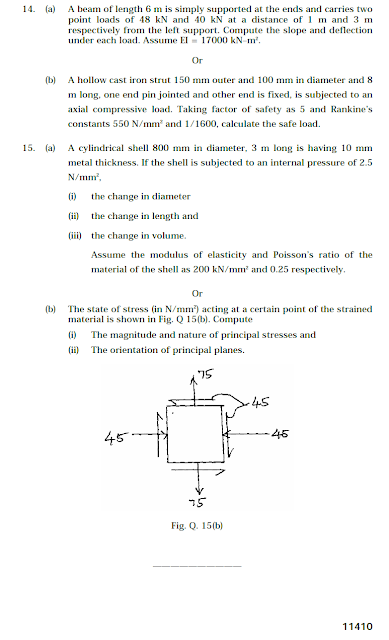 What are assumptions involved in the analysis of thin cylindrical shells.